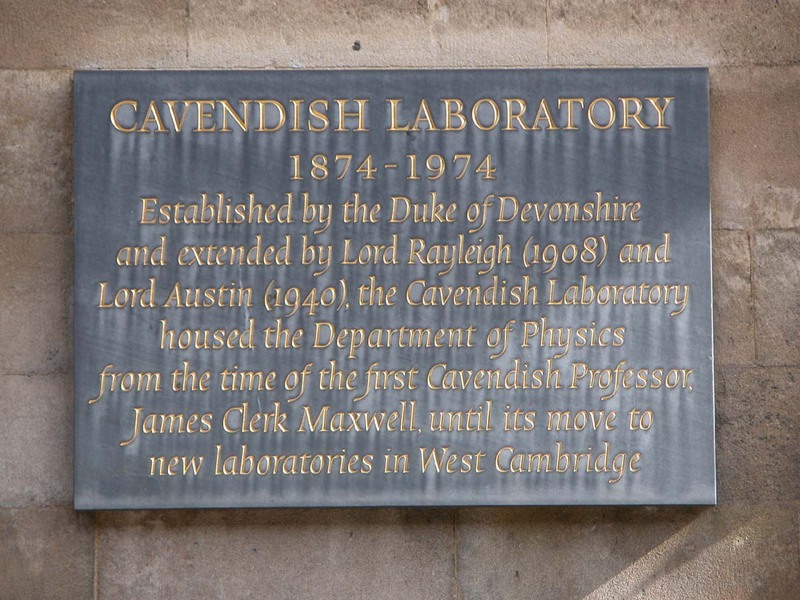 Cavendish Laboratory at Cambridge University in England first opened in 1874 under the direction of James Clerk Maxwell, the University’s first Cavendish Professor of Physics. The Laboratory is named in honor of British chemist and physicist Henry Cavendish and his relative William Cavendish, 7th Duke of Devonshire, who served as Chancellor of the University and donated funds for the construction of the Laboratory. 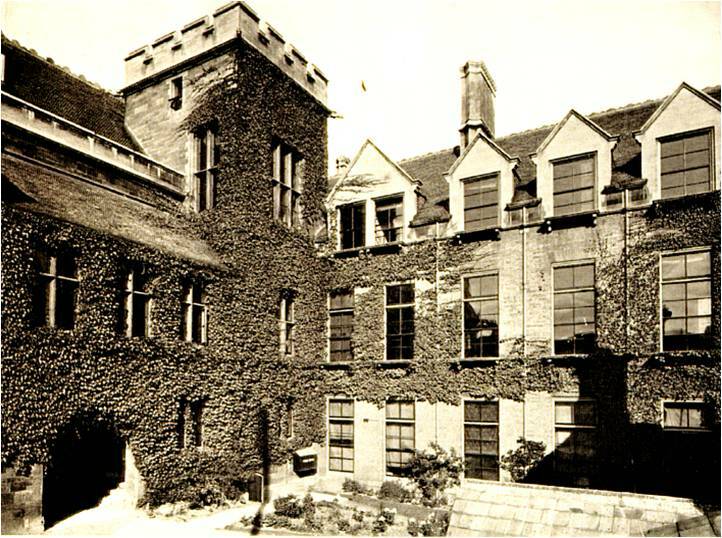 Cavendish Laboratory was built at a time of incredible scientific and industrial advancement, and its lecture halls, laboratories, and world-renowned faculty helped produce a new breed of experimental physicists that would go on to revolutionize their field. 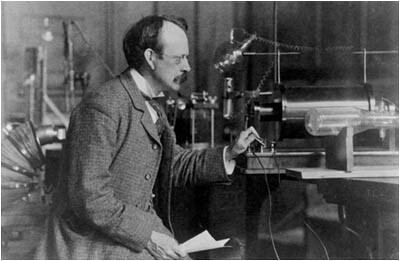 Some of the most distinguished scientists of the late 19th century were associated with the laboratory, and Cavendish became a leading center for theoretical physics. One of Cavendish’s most famous scientists was Ernest Rutherford, a New Zealander who was a graduate student at the laboratory and later its director. In 1911, while at the University of Manchester, Rutherford revolutionized the scientific understanding of the atom by theorizing that it was not solid but comprised a small charged nucleus surrounded by orbiting electrons. In 1919, Rutherford succeeded J.J. Thomson as Cavendish Professor and Director of the Laboratory. Throughout the 1920s, his research helped establish the nuclear structure of the atom and the nature of radioactive decay as a nuclear process. By the 1930s, Rutherford was widely regarded as the father of nuclear physics. Many of the scientists who studied under Rutherford at Cavendish would go on to win the Nobel Prize. 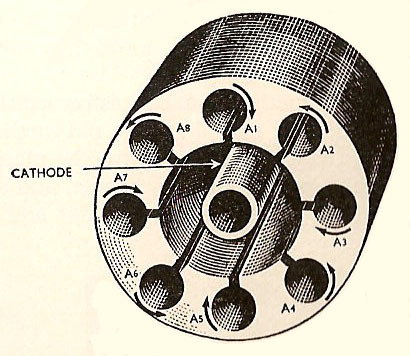 This included James Chadwick, who discovered the neutron in 1932, John Cockcroft and Ernest Walton, who split the atom using a particle accelerator, and Edward Appleton, who demonstrated the existence of the ionosphere. 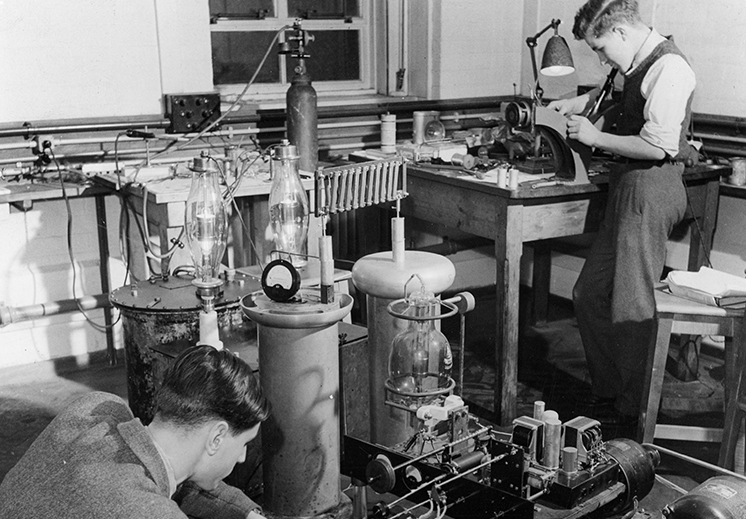 Cavendish Laboratory played an important role during World War II. Much of the early research on radar and atomic physics was conducted there. 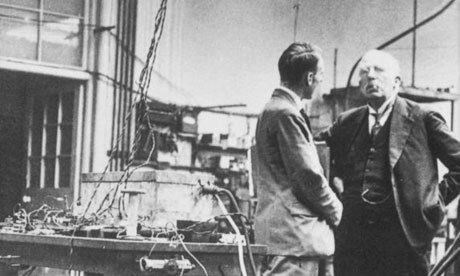 When Germany invaded France in May 1940, British officials invited a small team of French physicists to continue their research on slow neutron capture at Cavendish. Known simply as the Paris Group, physicists Frédéric Joliot-Curie, Hans von Halban, Lew Kowarski, and Francis Perrin were the first to propose that heavy water be used as a moderator for a nuclear reactor. Physicists at Cavendish also carried out important research on plutonium. Egon Bretscher and Norman Feather were the first to realize that a slow neutron reactor fuelled with uranium would theoretically produce substantial amounts of plutonium-239 as a by-product. They also demonstrated that plutonium would be readily “fissionable” by both slow and fast neutrons, making it more advantageous as a fuel source since it could be easily separated from uranium. These findings were later confirmed by Edwin M. McMillan and Phillip Abelson at Berkeley’s Radiation Laboratory in 1940. The University of Birmingham also played a vital role during World War II. 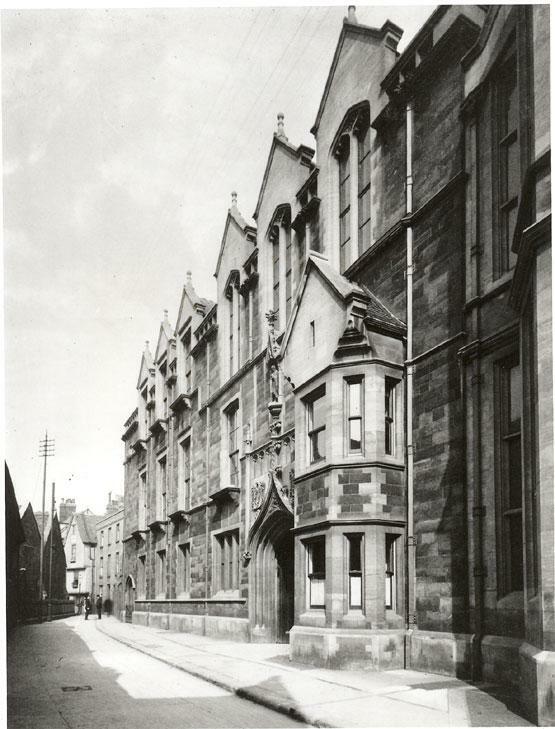 The University’s Department of Physics was founded in 1880 by John Henry Poynting, who moved from Cambridge University where he had been working with James Clerk Maxwell on electromagnetism. The department quickly grew after Poynting successfully measured Newton's gravitational constant (G) in 1890 and in doing so was able to determine the mass of the earth. In 1937, Australian physicist Marcus Oliphant became Director of the Physics Department. Oliphant helped secure £60,000 from the British Government to fund the construction of a 60-inch cyclotron to study the particle acceleration of uranium atoms. The following year, Birmingham physicists John Randall and Harry Boot pioneered the cavity magnetron, a radical new radar design which made airborne radar possible. Their device had a tremendous impact on the course of the war. Perhaps the most important discovery at Birmingham came in March 1940, when Otto Frisch and Rudolf Peierls published an important assessment confirming the feasibility of an atomic bomb. Their report, known as the Frisch-Peierls Memorandum, contained new calculations about the size of the critical mass needed for the atomic bomb. Frisch and Peierls also argued that "as a weapon, the super-bomb would be practically irresistible," and argued for developing a bomb as a "counter-threat," even if it was not intended for attack. Frisch and Peierls handed their report to Oliphant who scrutinized it before sending it to London to be inspected by The MAUD Committee. 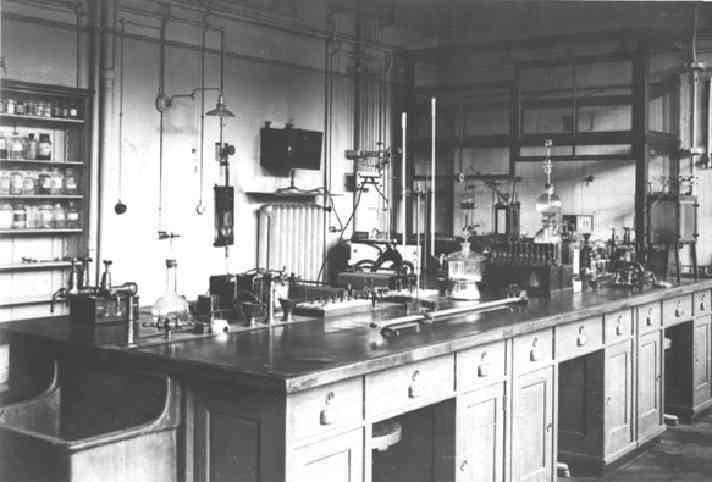 Birmingham also hosted early research on gaseous diffusion in the Chemistry department. Many windows in the Aston Webb building were left opaque from being attacked by hydrofluoric acid during various experiments. 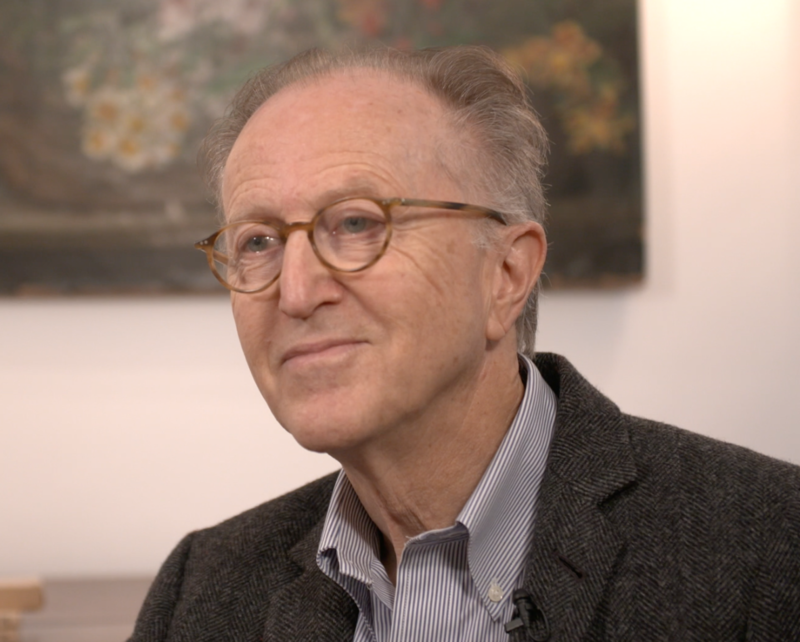 Physicist Anthony French discusses how impressive the Manhattan Project was and what made it decidedly different from the British wartime atomic efforts.